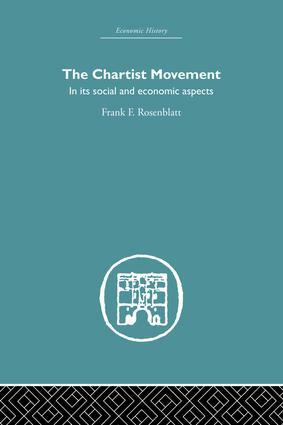 Professor Rosenblatt’s The Chartist Movement was the first serious study of Chartism, using the techniques of modern scholarship, to appear in English. The book comprises a detailed account of the history of the movement, dealing mainly with the period from 1837 until the Chartist riots at Newport, South Wales, in November 1839. As well as describing the political, industrial and social conditions that gave birth to the Chartist movement, this work contains extremely useful statistical tables of the 543 persons who were convicted for offences committed in the furtherance of Chartism between January 1839 and June 1840. "This is a particularly satisfactory piece of work as regards sketches of the leaders of the movement and of the spirit in which they preached the gospel of revolt." - American Historical Review, 1916.